Improving Cost Estimating and Project Delivery in the Public Sector – Today. It’s all about the data, processes, metrics, and supporting technologies. 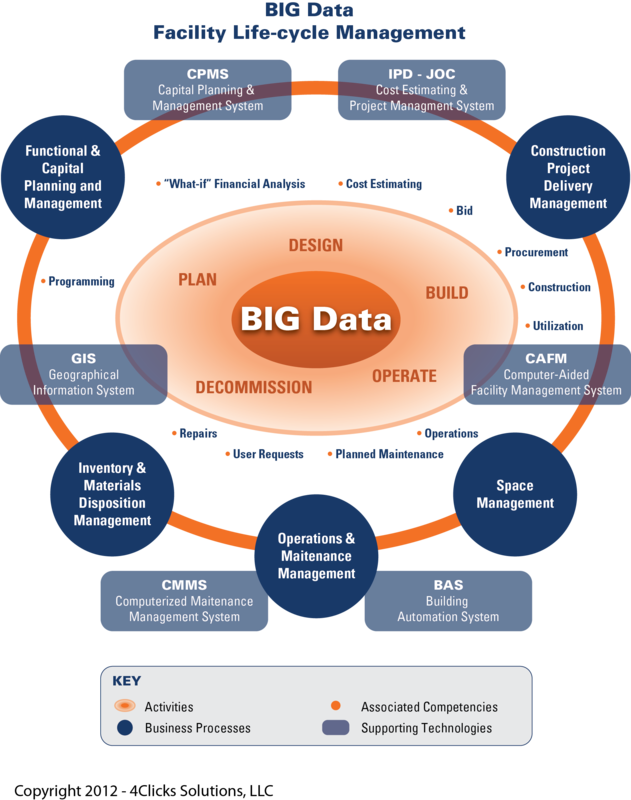 Cost Data: What value is your construction cost data to you? Are you able to easily and rapidly copy/paste, update, share, and reuse your cost estimates? The answer for most cost estimators, contractors, and owner is “No”. The result is poor productivity, rampant waste, excessive numbers of change orders, and even legal disputes. Leveraging a standard cost database, such as RSMeans, is critical from multiple perspective. First is the common format and data architecture, meaning Masterformat2012. Now, image RSMeans with line items spelled out consistently in plain English, as well as individual line item modifiers which expand available RSMeans cost line items from approximatley 70,000 to well over 400,000. Also imagine all this within a true cost estimating tool that included Contract, Project, and Document management… all withing a collaborative environment. Technology: First, and foremost, while we all use spreadsheets daily, they are NOT for collaborative cost estimating and sharing information with Owners, Contractors, AEs, etc. I challenge who exclusively uses spreadsheets for doing a significant amount of R.S. Means line item estimating anytime. Appropriate cost estimating tools can and do make the process more efficient and less costly to all parties. Visual estimating/QTO, line item cost estimating, powerful search tools, integrated contract/project/document management and the ability to host RSMeans and custom cost data… all are available within a single software program, such as e4Clicks Project Estimator. Time for you to provide more detailed cost estimates more productively? We are a team of dedicated, passionate driven individuals who come to work every day with the privilege of working for you! Many of my team members have walked in your shoes working in the industry as cost estimators, project managers, and engineers. We’ve been in fallout in September, we’ve searched for the perfect line item, we’ve been a single estimator with 60 projects to estimate or part of a team that worked together to process millions of dollars of delivery orders. Now we watch, we listen and we take your suggestions and feedback to develop real world solutions that meet your changing needs. It’s what sets us apart and makes the difference in how we deliver our products, training, and services that you can only experience with 4Clicks Solutions. Thanks for hearing a little bit about our story, but the truth is, we are more excited to hear about yours! Smaller renovation, repair, and sustainability projects represent significant challenges to many Owners, Contractors, and AEs. These projects need to be completed quickly, yet also require knowledge of local conditions and specialized needs. While design-build (DB) has achieved a degree of success for larger projects vs. traditional design-bid-build (DBB), DB requires a three to six month procurement process. Thus, while DB, and its even more collaborative counterpart integrated project delivery (IPD) make sense for larger capital projects, smaller projects typically need to be more responsive. In the public sector (also now expanding to the private sector) the concept of Indefinite Delivery Indefinite Quantity (IDIQ) procurement addresses the need for these numerous smaller projects. Under the IDIQ contract type, work is delivered under multiple task orders, and the specific project needs are undefined at contract acquisition. To be transparent, productive, and cost efficient however, IDIQ’s require robust and structured implementation supported by technology. Certain skills sets are required of the Owners, Contractors, and AEs. Failure in addressing these issues with respect to IDIQ implementation simply results in a faster procurement mechanism WITHOUT any of the associated additional benefit, “checks and balances”, and transparency that should be associated with IDIQs. MACCs and MATOCs – The most common and straightforward of IDIQs are Multiple Award Construction Contracts (MACCs) and Multiple Award Task Order Contracts (MATOCs). The advantage of these contract mechanisms is a smaller pool of pre-selected, qualified contractors that compete for individual task orders. Additional benefits include a streamlined selection/procurement process, and a group of constrictors with local knowledge of buildings and site conditions. JOCs and SABERs- Job Order Contracting (JOC), also referred to a SABER in the United States Air Force, is another form of IDIQ. It is also referred to as “IPD-lite.” Job Order Contracting is another long-term (3-5 year) contract wherein projects are estimated by Owners and Contractors/AE using a Unit Price Book (UPB), for example the RSMeans Facility Cost Book. Contractors bid using the UPB and applying a coefficient the overall derived unit line cost estimate. Job Order Contracting shortens the design and procurement timelines through a process well suited for smaller projects. The business process is illustrated below, as well as associated time savings. JOC and SABER are performed-based construction delivery methods. Additional work is awarded to Contractors based upon successful project completion. While JOC is not appropriate for all projects, is has been proven over the past few decades to be an extremely effective tool. JOC task orders are typically under $1 million, but total contract volume over the 3-5 year contact term can exceed $300 million. 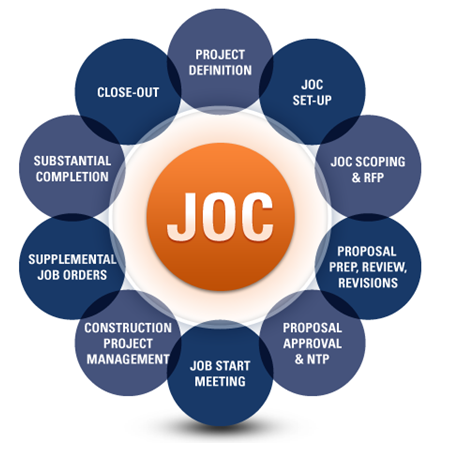 Here’s a list of important considerations when starting up and managing a successful JOC program. 2. Joint Owner/Contractor site visits, and collaborative project scope development. 3. A well-established unit line time price book based upon national standards, and including as specialized local and/or owner-specific requirements. 4. Mutual trust and respect among contract participants, and some form of shared risk-reward. 5. Technology/software that embeds the JOC process to assure low cost and consistent deployment as well as ongoing project monitoring and updating. The largest number of JOC projects is executed by the Air Force, where the contracts go under the moniker SABER, or Simplified Acquisition of Base Engineering Requirements. 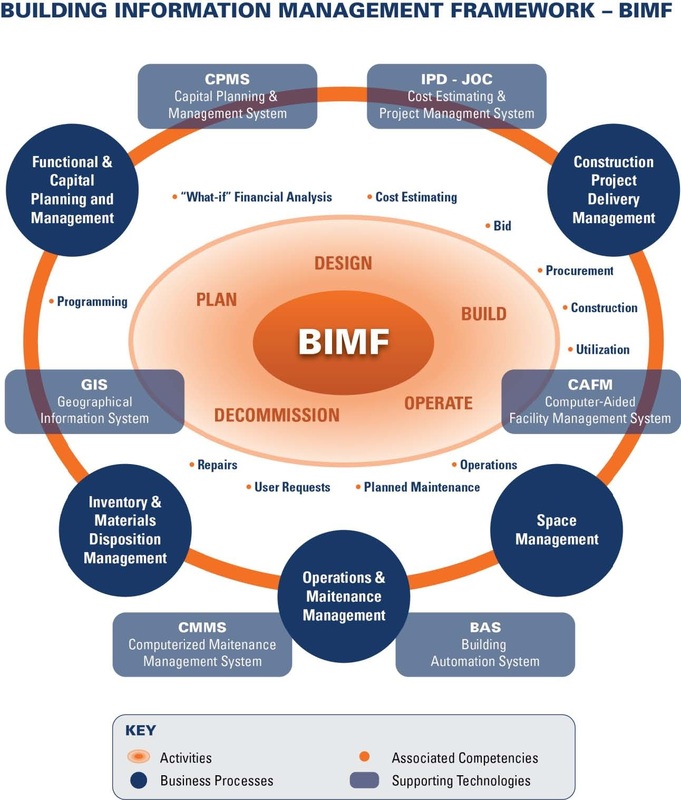 The Air Force and other federal owners are leveraging JOC by using advanced software technologies such as project Estimator by 4Clicks Solutions and JOCWorks by RSMeans to embed JOC processes, including independent cost estimating, automatic technical evaluations, auto-population of government-mandated paperwork, and collaborative processes. As the federal government faces fiscal constraints, the retirement of 50% of its acquisition personnel in the next seven years, and the need to address an aging portfolio of buildings and infrastructure, the use of IDIQ/JOC/SABER/MACC/MATOC contracts will significantly increase. Private sector organizations, and quasi-public agencies in healthcare, transportation, and other markets sector are also beginning to participate in the efficient, collaborative construction delivery methods.